Degree Works will eventually replace the existing CAPP degree audit. MSSU will be using Degree Works and CAPP simultaneously until older catalogs can be programmed into the new system (timeline TBA). The student’s catalog year will determine if they will use Degree Works or CAPP for their audit; students who are under the 2016-17 catalog and forward will use Degree Works. When Degree Works goes live on Sept. 6, the 2016-17 catalog will be disabled in CAPP. On Sept. 6, a link to Degree Works titled “Degree Evaluation (Degree Works)” will be located in LioNet under Student Quick Links. The Degree Works link may also be accessed in LioNet under the Faculty tab > Faculty Menu > Student Information Menu > Degree Evaluation (Degree Works). 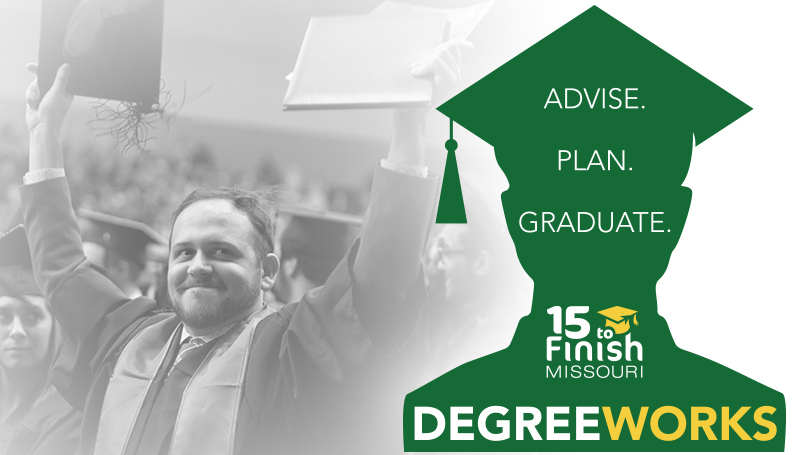 A campus-wide Degree Works Celebration will be held Monday, Sept. 18, in Hearnes Hall Room 101. Please make plans to drop by anytime during the day for Degree Works information and demos. Cake, punch, and popcorn will be served from 10 a.m. to 3 p.m. Door prizes and giveaway items will be available (while supplies last). Tables will also be set up in several buildings on campus throughout the day with demos, door prizes and giveaway items (locations and times TBA).